Q. What is opioid abuse? A. Opioids include illegal drugs such as heroin as well as prescription pain relievers such as oxycodone, codeine, morphine, etc. Short-term use of prescribed opioids is generally considered safe—but regular use of opioids (or misuse of opioids) can lead to dependence (which may also be described as addiction or substance abuse). Q. What is the opioid epidemic? A. Today’s opioid crisis in America can be traced back to the 1990s when the Federal Drug Administration first approved OxyContin (oxycodone) for pain relief. Opioids became more readily available, and physicians began prescribing them more frequently—in fact, the number of opioids sold to physicians and hospitals quadrupled from 1999 to 2010. While the United States has only 4.6 percent of the world’s population, Americans are consuming 80 percent of the global opioid supply, according to the National Institutes of Health. As use of opioids has increased, so has the rate of opioid-related deaths. 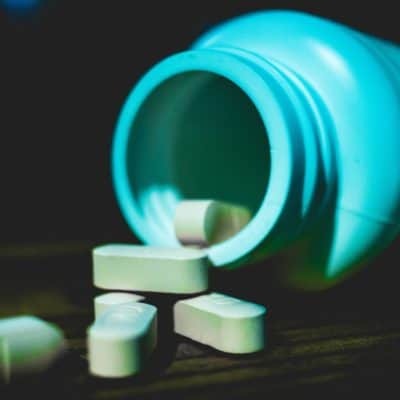 According to the Centers for Disease Control and Prevention, the majority of drug overdose deaths involve an opioid, and the number of overdose deaths involving opioids has quadrupled since 1999. As such, the U.S. government is calling this dramatic increase in opioid-related deaths an epidemic. Read this article from West Suburban Living to learn how the crisis is impacting Chicago counties including DuPage, Cook, and Will. Q. How is opioid abuse treated? A. The National Institute on Drug Abuse recommends a combination of Medication Assisted Treatment (MAT) with behavioral health counseling. Medications to help treat opioid addiction can be initiated through a certified psychiatrist to prescribe medications such as Methadone or Suboxone. Emergency rooms and now many police officers carry Naloxone, which can reverse an overdose. Dependency also warrants admission to inpatient treatment (rehab), during which the patient can receive both regular dosing of medication as well as counseling. Some substance abuse can be treated through outpatient treatment, such as group counseling, which Pillars Community Health offers. This type of treatment allows people to come to the site for a counseling session and then return home afterward. Q. How do I know whether to go to an ER or call a rehab center? A. If you or someone you love experiences an emergency (such as an overdose), call 911. Overdoses should be addressed in a hospital setting. If you or someone you love may be addicted to an opioid or other substance, an assessment can help determine the level of treatment needed—whether that is inpatient rehab or outpatient counseling or a combination of the two. Q. What is your role in recovery from the opioid epidemic? A. Pillars Community Health now offers same-day assessments. If it is determined that the substance abuse issue can be treated through outpatient therapy, Pillars Community Health can provide that treatment for people ages 12 and older. We offer services at multiple locations, including La Grange Park, Hickory Hills, and Berwyn. Services are available in English and Spanish, and payment is based on a sliding fee scale (meaning the amount you pay is based on your income). If a higher level of care is needed, such as hospitalization (detox) or residential treatment (rehab), our staff can refer you to such a facility. With an established reputation dating back to 1975, we have connections to partners throughout the western and southwestern suburbs of Chicago. If hospitalization is recommended, Pillars Community Health can provide a transition back to the community/home following discharge from that facility. Click here to learn more about our Addictions Services. To access services, call 708-PILLARS (708-745-5277). We also recently received a grant for $175,701 from the U.S. Department of Health and Human Services to expand access to mental health and substance abuse services. This includes expansion of access for treatment, prevention, and awareness related to opioid abuse. The grant also covers the cost of completing a community assessment, to research existing needs related to opioid abuse in our local community.